College Woodwork takes pride in creating solid wood furniture of outstanding beauty, design, and value. College Woodwork offers an extensive line of superior quality home furnishings. Their furniture lines include a vast selection of bedroom and home office pieces, as well as other accessories tailored to fit in any size room. In creating exceptional furniture, College Woodwork’s mission is to manufacture quality furniture that is not only stylish and timeless but also durable and affordable. From each stage of the design and manufacturing process they endeavor to create enduring furniture that will reflect their legacy of solid Canadian craftsmanship. College Woodwork is a forerunner in today’s manufacturing market recognized for their exquisite craftsmanship, innovative design and superb service. 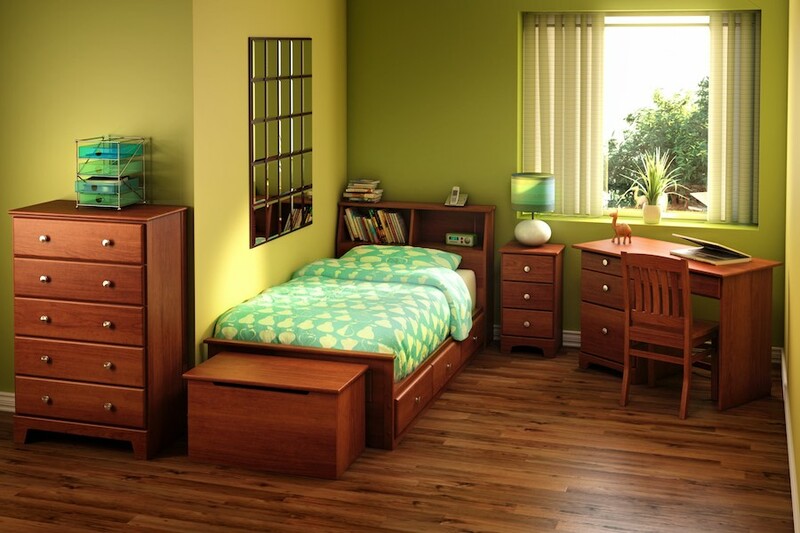 College Wookwork sets feature: Twin through king size beds, trundle and captain’s beds, bunk beds, a variety of size chests, dressers, bookcases, desks, nightstands, lingerie chests and media centers. All available in your choice of 9 finishes with choice of wood or decorative pulls. Dover is one of College Woodwork’s first bedroom collections and has truly stood the test of time. Dover’s simple design, multiple cases and under bed storage options make Dover the perfect choice for your child’s room. Made in Canada with Canadian Birch, the Dover legs, tops, trims and drawer fronts are all solid wood. The unfinished drawer boxes feature English dovetail assembly with standard euro glides. Dover is the only College Woodwork collection that offers three trim options: cut-out, shaker and straight. The elegance of simple yet bold lines and a sturdy construction make Rossport a lasting investment. The timeless design of the Rossport collection will complement any décor from youth to adult bedrooms. Multiple night stands, chests, dressers and beds make Rossport popular with everyone. Made in Canada with Canadian Birch, the Rossport legs, tops, trims and drawer fronts are all solid wood. The finished drawers feature English dovetail assembly with full extension glides. The default hardware is the Large Oval. Optional hardware is available. Signup for our Mailing List & receive a $10 Coupon!